Branson, Missouri is a unique resort destination nestled among the beautiful Ozark mountains and pristine lakes of Southwest Missouri. Branson is often referred to as the “Live Music Show Capital of the World,” and for good reason. With a population of just over 10,000 residents, the town is visited by well over 8 Million tourists each year who come to sample the wide variety of entertainment to be discovered. What makes Branson unique among all other travel destinations, are hundreds of family friendly shows and activities for visiting guests to choose from. This vast array of attractions creates a need for marketing professionals to create promotional materials that not only stand out from the crowd, but also engage their prospective audience with online social media. 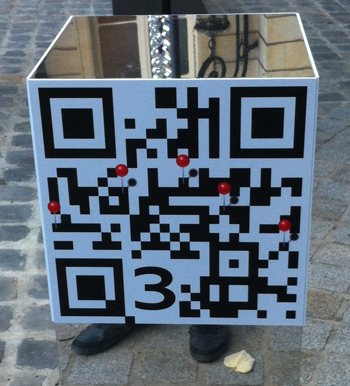 Both of these objectives are easily solved by implementing the free QR Code services to be found at YouScan.me. Since my business partners and I first opened our magical Branson variety show in 2004, the marketing materials promoting the Hamner Barber Variety Show have evolved to reflect new additions, as well as provide a freshness to our advertising and promotional materials. 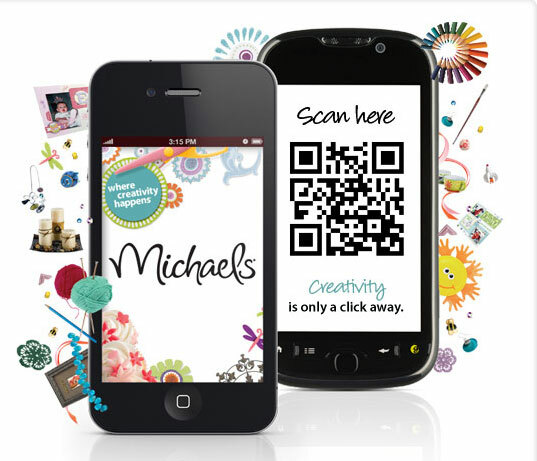 Malls can also be on the QR code wave and Mall of America is one of them. 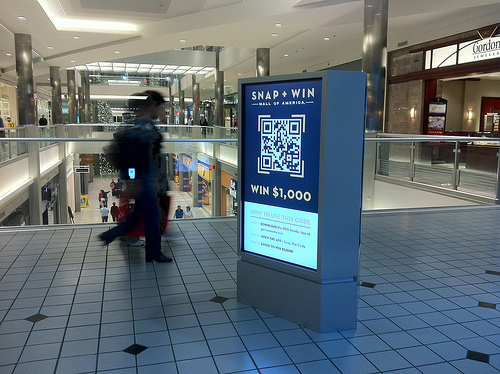 It was offering guests the chance to snap a QR code to win $1,000 shopping spree from Black Friday through Dec. 23. 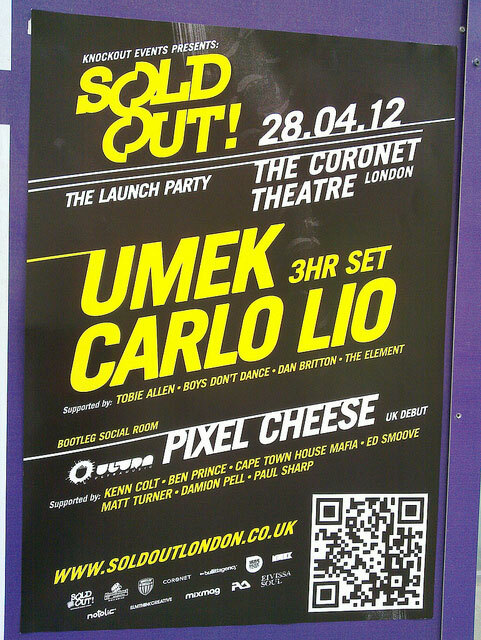 Holiday Snap+Win codes was placed on food court tables, digital signage and on the back of guest service staff t-shirts. Guests used their smartphone to snap the tag and enter through an electronic entry form. The winner was drawn and notified on Christmas Eve. When scanned the QR code leads you to this page, which except of the promotion has info about the working hours, events, sale, etc. How can QR codes help you connect with your next employer? In today’s social world, getting noticed by a potential new employer requires an effort to raise above the noise. Luckily, with some creativity and good use of technology, there is still room to explore, discover and experiment new ways to communicate your personal story in unconventional ways. 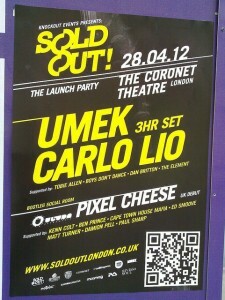 And the latest ones to be featured in our QR code in the wild posts are BP. 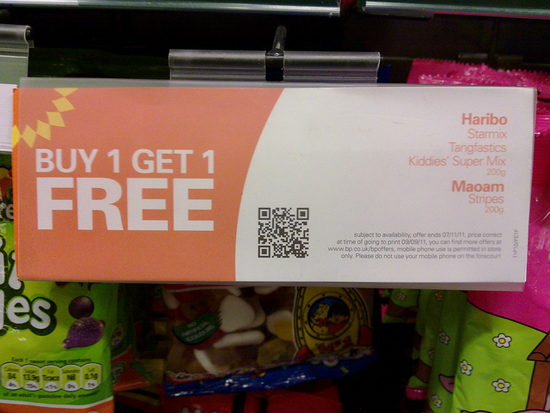 The QR Codes are placed on the shelves at BP shops at UK and their purpose is to present daily offers. 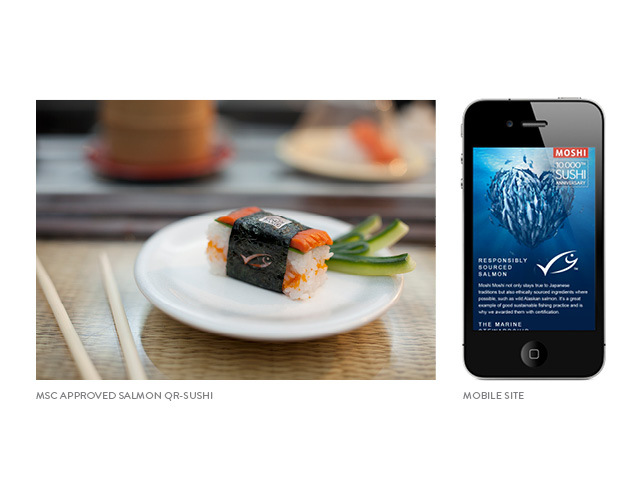 When scanned they lead to BP’s mobile website which tracks your location and displays the offers near you. Mazda USA and the St. Louis-based rental car company understand the potential to reach up to a million car renters a day with QR codes. The codes will first appear in Mazda 6 vehicles available at Enterprise Rent-A-Car locations. The simple graphic asks “Like What You See? 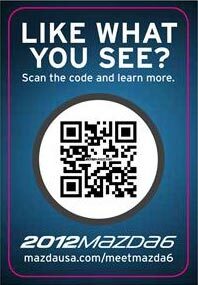 Scan the code and learn more.” and it is are placed on key tags as well as the driver side window of all vehicles, making vehicle information accessible to more than just the rental vehicle occupants. Scanning the code with a smartphone will launch a mobile-optimized site where car rental customers can learn more about the vehicle they are renting, including finding a local dealer. 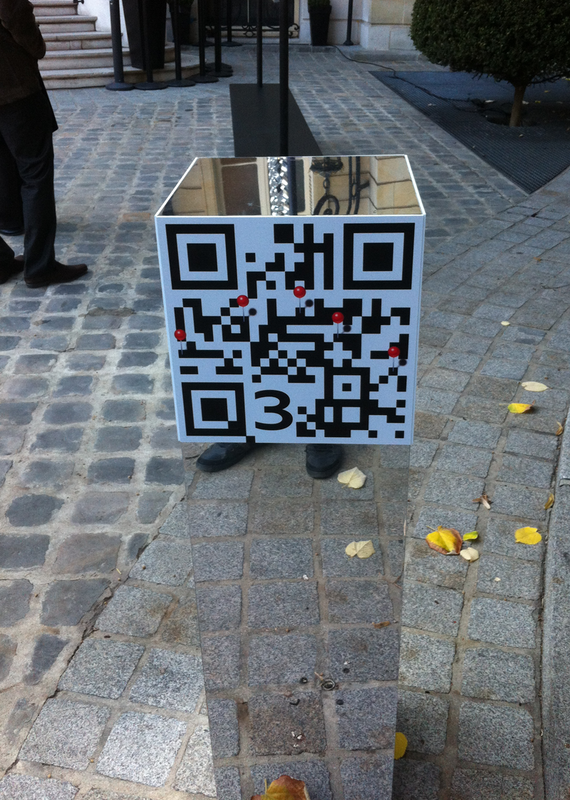 Here is how one of the major car manufacturers Audi use QR codes to present their Talents Awards in France. The codes has been printed on both vehicles parked and driven around the city, and on mirror columns symbolizing the Qube3 from Audi. 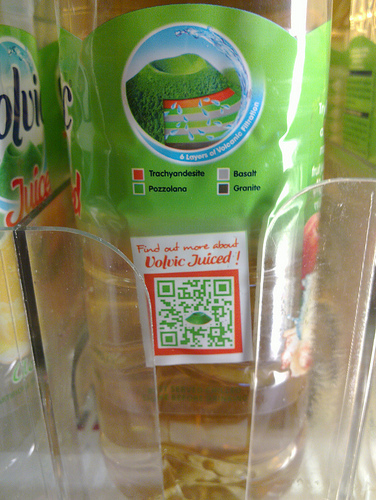 When scanned the QR code leads you to perfectly organized mobile site with information about the awards, videos and inspiration talks from participants.